Do we want to support “Is there a term for x” questions? We have a terminology tag, which makes sense. Sometimes, you run into a term in a game (or game related meta - I'm thinking of you, MOBAs, where I feel like I have to learn a whole new language...) that you don't know, and sometimes, all the Googling in the world doesn't help (because you can run into a situation where you keep running into words you don't know trying to learn about that one word you started with, and then you end up at Philosophy and you don't know why). That's great. We have lots of people here who can help with those. But we are running into a new problem, where we are getting questions along the lines of "does this thing have a name?". These are a lot harder to answer. Sometimes, the answer is no. And we end up with a situation where a whole bunch of people take stabs at trying to interpret the thing you are describing, and we end up with comment chains where people argue semantics and such with each other. On top of that, we run into issues where if it isn't a open and shut general reference thing with a very specific already established sign/signifier relation, it's going to get messy. You get a lot of bikeshedding responses and attempts by people to coin new and fantastic phrases for things, instead of people all agreeing on one term. They tend to attract awful unsupported "I made up this thing" or "I think it should be this" sort of answers. I'm personally not a fan of this - while I get most of these are kinda sorta about gaming, I'm not sure they're really within our wheelhouse as a community. What say you, Arqade? Should we keep these questions? Is there a term for "sending an ability to cooldown?" Is there a term for "leaderboard" or "scorebased" competitive multiplayer? Is there a term for using cover to artificially block AI attacks? Is there a term for the "no base building" levels in real-time strategy games? The latest set of terminology has several negative traits that reveal they aren't necessarily a good fit for us. Is there a common name for pop-up damage numbers, such as in RPGs? but a very common answer is right there in the question title: "damage numbers"
the vagueness of the scope makes the answer a tiny fraction of what it could have been. Compare with what would have happened had the question been specific to Diablo 3 or the Division. Had this question actually been about FF7 itself, we'd have had a chance to discuss the Doom status. The top answer has to specifically go out of its way to answer separately three questions, "what is a lane in LoL? ", "what is a lane in DOTA?" and "what is a lane in smite?" What is the FEAR strategy? So yes, I do believe that there is ample precedent that questions asking to define one thing about one game are much much better than questions asking to give a thing a name in one game, which in turns are much much better than questions about multiple games, entire game genres or even all of the games ever. If we do decide that we should set some minimum quality bar for terminology questions, this is a fine way to do so, and I for one agree that such a bar is becoming increasingly needed. Compare the answers you could give to "What's an headshot?" and "What's an headshot in TF2?". Once you ground it in a specific game, you can talk about character models, hitboxes, weapons that can headshot, how much damage a headshot deals, charging headshots, the Ambassador's spread penalties, etc. The former question can only be answered "sometimes in some games when you shoot some weapons that hit some part of the enemy that the game considers to be its 'head' or otherwise a critical spot, regardless of whether or not this part actually looks like the enemy's head, you may under some circumstances deal some amount of additional damage." This answer is the best kind of correct, and also completely so generic to be basically content-free. Please, let's have more of the former, and less of the latter. Oh, by the way, by extension of the previous paragraph. Say that you somehow didn't know what an headshot was, you merely noticed that in TF2, while playing sniper, sometimes you'd see a little comic thingy come out when you shoot enemies and typically when that happens the enemies die more often than not. It's PERFECTLY FINE for us if you ask what's up with that — just don't stop at asking if there is a name for it. Give us a chance to cover the subject matter in proper detail. I'm having trouble understanding the motivation for limiting ourselves here. As always, if a specific question doesn't have enough information to answer it, then close it for being unclear. If the question clearly describes the concept, and it's a gaming concept, then who better to say whether there's a term for it, and what that term is, than the people that play games all the time? "Hey, I'm missing something on my screen." "What?" "The... y'know, when you attack." "What are you talking about?" "It's all around when you attack things, letting you know how it went." "Whatever man, I'm busy." "I'm missing the damage numbers. How do I turn those on?" "Go to your settings and enable damage text." Here's a thing! Look at the thing! What is the thing! 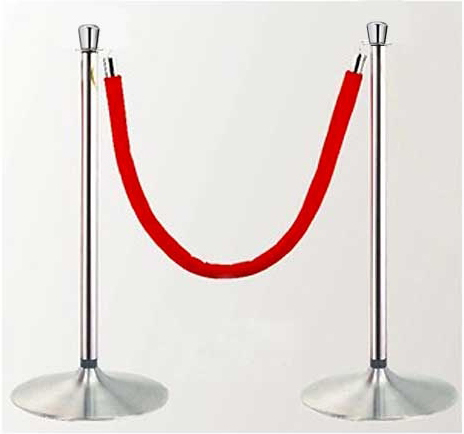 This is a stanchion. You may not have known that. I didn't know that for a long time. Often times we see it places but we don't know what to call it. Surely it must have a name, right? If I'm at my local movie theater and take a picture of this to ask you what it is, and you're the expert on movie theater furniture, I'd say it'd be a pretty good question. Swap that out for anything gaming related and we already have a precedent for that. "What do I call this thing" is definitely 100% on topic. I saw/experienced/know of this thing. What is it? Precedent gets a little weird here. Because there are concepts that are totally a thing, can be describe, but can't include media. It's a concept and concepts don't always have media associated with them. This isn't exactly like game ids. But it can smell very similar sometimes. Personally, I would say until this becomes a problem (which I haven't noticed it being one, but I could have just missed it), it may have to be a judgement thing. For example, a question asking "If I win a game against an opponent and they were not able to score a point, is it called something special?" might be passable in my opinion. The scope is kept small, the idea can be clearly described, and it is something that can be answered in the format provided by the SE engine. However, and I'm going to go to a real example here, asking about terms of venery in SC is probably not a good fit for our site. Really this one isn't asking about if a term exists for something in the sense of an idea. It's asking if a class of terms has been created for a set of items. The scope is at best big, answers to the question aren't likely to be expert driven but rather solicitous, and, imo, the intent of the asker seems to be about soliciting opinion or inventing trivia then any real curiosity in the answer (I'm drawing this mostly from the reddit thread they've linked and comments made). If we need a rule, I would say we should go with precedent and say unless you have a media thing to ask about, it isn't on topic. But I would be hesitant to make that a rule until we have more questions and can better analyze what questions are actually being asked and if they can be made and defined to be a better fit. I'm always with helping more users. But I also may just be out of the loop. My personal take is in our lives as gamers, sometimes we encounter a term first and need to look up a definition. Other times, we encounter a thing first, but don't know what to call it. That person would a staggeringly difficult time stumbling upon the right combination of search terms and before they eventually uncover the term "screen tearing". I understand that the gaming community has different priorities than the programming community in general (Stack Overflow in particular), where common terminology is the building block of everything. I also understand that it's hard to appreciate a question with nothing but a picture and "What is that called?" It's the cases where the answer is "No" that I imagine lead to those rambling arguments unwelcoming comments. In the cases where there is a common term for something (like "screen tearing"), I see those questions as very valuable because others will stumble upon the answer during their own searches, and benefit from it. I think a new Closed reason would alleviate the bad cases without sacrificing the good ones. Something like "Closed as no consensus" or "Closed as devolving discussion". There's two different set of actions at play for terminology questions. Wanting to know what a term means. You've heard something people are talking about, maybe in chat, maybe in Teamspeak, doesn't really matter where, but you're not quite sure what it means. You're not familiar enough with the game to understand the slang and lingo being thrown around. These are the sorts of questions we excel at. That's a core gamer expertise, and plays directly to our strengths. It needs in-depth skill and experience to be able to answer, and just like strategy questions, can lead to some fantastic answers. Describing an action, set of actions, or concept, and asking for how it's defined. Essentially, pointing us at a thing, and asking us to define it. This is where the problems come in. We're good at explaining what things mean. We're not so good at the reverse, of taking the thing, and attaching a term to it. One action is a specific, narrow set of expertise. Asking us to define a term tries to take a broadly defined, "thing", and attach a common term to it. Often times, this thing doesn't even have a term for whatever it is. We're trying to take a concept, and stuff it into a little tiny box. A box that is going to be different, depending on who sees it, and how they interpret it. Also, like translating a language, you lose some meaning in the process of stuffing it into the box. Little bits and pieces fall off, so when you unpack it, it's not quite the same as it originally was. Going from term ==> action (#1) is something we can easily do. Going from "thing" ==> term doesn't work very well, because we're trying to stuff something into a neat little box that usually gets close, but doesn't quite match the thing anymore. To that end, I suggest we allow questions asking us what a term means, but we disallow questions asking us to define this, "thing", whether it's based on a picture, set of actions, concept, whatever. Give us a term, and we can tell you what it means. But we don't do the reverse. Is there a term for x? I don't agree that these questions are "bikeshedding". I'm not saying that some questions may appear to fall into these traps. I'm not saying knowing the names of all elements on your screen are significantly important. However, let me put this into context using the example of MOBAs as in the OP. If you have never played a MOBA before, or put too many hours into one, the terminology is (at first) daunting. There are many in depth guides, websites and forums dedicated to abbreviations and terms. As addressed by the OP, having questions (as we already possess on the site) asking for specific meanings of the terms is useful. You can see the views, question scores and number of answers. A new MOBA gamer can find a guide, see something like "ganking", google the term and find the answer on this site. This site provides a use. Its purpose is served. You are reading a guide that explains a strategy. Let us take the example of which character to use in a 3 lane conquest game. There is mention of selecting a specific character, which lane to patrol and then states "you can gank by...". If you don't know what the term means, you can't fully utilise the guide. You are disadvantaged to people who know the term because they can fully use the strategy whilst you miss out on the detail. It is not the same case as discussing the colour of paint for the bike shed when submitting plans for a nuclear power plant! Remember, MOBA players are on information overload should they pursue improving their gameplay through discussions and guides. But this can apply to other games. I remember first playing Minecraft and for a while just assumed "mobs" meant "monsters". You are not born with all these terms implanted in your head, they are not always completely obvious and you can easily confuse them when going through your learning curve on a game. You are in a game. You are trying to communicate to your team mates. You explain that they must do something, use a feature or view a certain area of the screen. You end up explaining it in a 30 minute description rather than a nice simple one or two worded term. You google around trying to find what this "thing" is called. Should we let google show answers from our site or not? Do we really want to wipe our hands of this usefulness? Again, I appreciate questions can be asked that don't solve a problem to the OP (i.e. asking for the sake of asking). 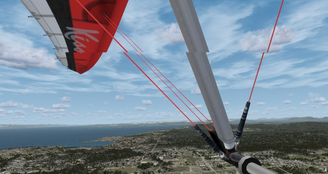 However, the finer details for a game really can help you apply knowledge from various sources. If the underlying question is asking for a term, such as some poll to find out what unique name each person calls the subject or to coin a new term, then I believe it should be closed as opinion-based. I don't know the real problem (i.e. the actual questions/answers that influenced this meta) but I would suggest that we don't judge a question by its answers alone. If "Is there a term for x?" question pops up and someone gives an answer along the lines of "We should call it [insert invented term]" - then it either receives downvotes or subject to closure on grounds that it isn't answering the question (the question, I assume, is asking for an established term rather than finding an appropriate new name). Not the answer you're looking for? Browse other questions tagged discussion allowed-questions site-policies . Are terminology questions that apply to more than one game on topic? Should we support tech support questions for games on alternative (unsupported) operating systems? Is “mod rec” really an umbrella category that we want to use? Or is it confusing the situation? Would a question about ease of learning certain classes in TF2 be too opinion-based?